You have signed up for an endurance relay race! A great adventure awaits. You are training to run, but are you planning what you will do between each leg of your relay? There will be sitting and riding in a van, and more riding and sitting. In order to stay loose and keep the front of the hips open, I would highly recommend taking the opportunity to get out of the van every time you reach a transition point and do some dynamic stretches a series of yoga poses. This will keep help keep the running muscles at optimal length and prevent shortening and straining. One of my favorite multi-joint exercises is also a great dynamic warm up, the walking lunge with overhead reach. 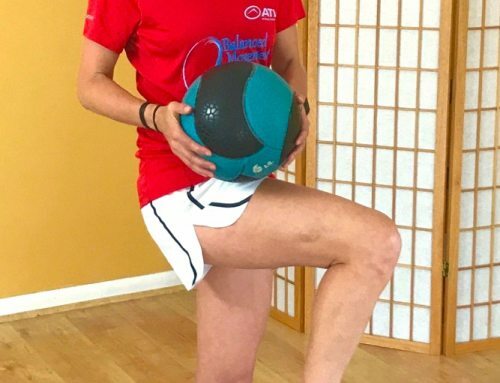 In this multi-joint exercise you are using all of the muscles that cross the hip, knee and ankle joint, which warms a lot of muscles at once. 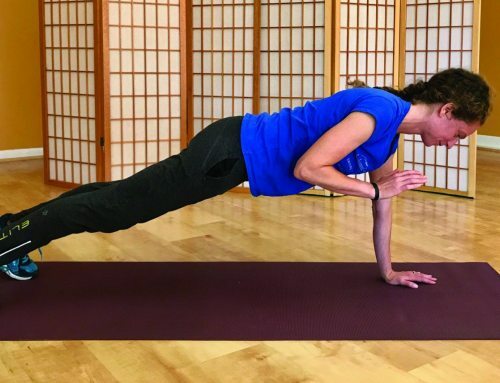 This makes this a very functional exercise for strength and stability in running and cycling, or any other activity that requires weight shift from one leg to the other (that covers a lot of activities!). 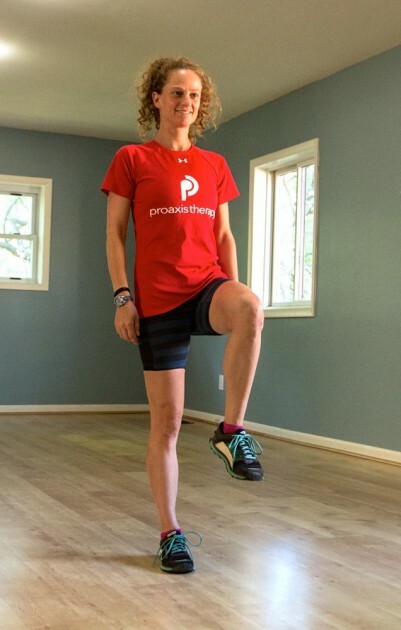 It is perfect for a dynamic warm up because it moves you through at least two planes of motion, sagittal and frontal (moving forward or backward and side bending), both are directly pertinent to running. 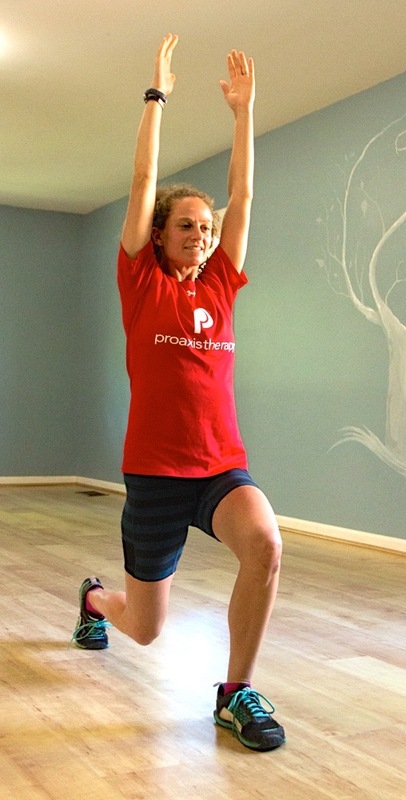 Begin by standing on one leg, holding the opposite knee at hip level. Inhale as you step forward and lunge and reach both arms overhead. You should feel a sense of lengthening in the front of the hip, quads and abdominals of the back leg. Hold this lunge and continue to reach up then slightly side-bend towards the side of the forward leg. 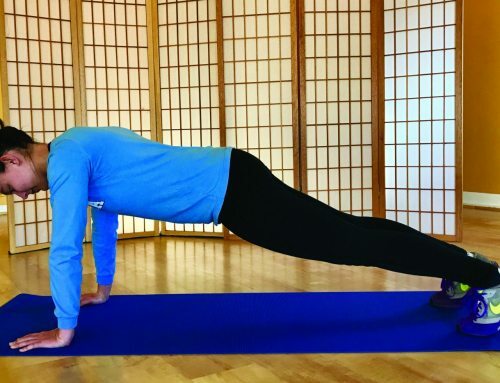 This will give you a bonus stretch of the muscles between the ribs and the pelvis. Shift your weight onto your front leg (without letting your knee go past your toe), exhale and come into single leg balance on that leg and bring your arms back down by your sides. Repeat this motion, alternating legs, 8-15x. And remember, inhale as you lunge forward and reach overhead to open the front of the body, exhale as you come back to single leg stance. Use your breath to help expand the tight spaces.